Most people intuitively get it. An American preventive strike to wipe out North Korea’s nuclear bombs and ballistic missiles, or a commando raid launched with the same goal in mind, is likely to initiate a chain of events culminating in catastrophe. That would be true above all for the roughly 76 million Koreans living on either side of the Demilitarized Zone. Pres. Donald Trump, though, seems unperturbed. His recent contribution to defusing the crisis there — boasting that his nuclear button is “bigger and more powerful” than that of North Korean leader Kim Jong Un. The president’s high school locker-room braggadocio provided rich material for comedians and maybe for shrinks. Meanwhile, there remains the continuing danger of a war in the Koreas, whether premeditated or triggered accidentally by a ship seized, an aircraft downed, a signal misread … you get the picture. No serious person could dismiss this scenario, but even the experts who track the evidence closely for a living differ on just how probable it is. In part, that’s because, like everyone else, they must reckon with a colossal wild card — and I’m not talking about Kim. On one side are those who warn that Trump isn’t blowing smoke when he talks or tweets about destroying North Korea’s nuclear warheads and missiles, the infrastructure supporting them and possibly even the whole country. By now, it’s common knowledge that his national security officials — civilian and military — have been crafting plans to strike before that country’s nuclear arsenal becomes fully operational. No one who listened to PBS NewsHour’s Judy Woodruff interviewing National Security Adviser Lt. Gen. H.R. McMaster just after the Trump administration released its National Security Strategy in December could simply dismiss the warnings as those of so many Cassandras. In September 2017, he upped the ante again in a speech to the United Nations, declaring that he would “have no choice but to totally destroy North Korea” if that were needed to defend the United States. Left unspecified was Trump’s definition of “defend.” Would additional North Korean nuclear and missile tests pose a sufficient threat for him to order a preventive war? Was his red line a fully operational North Korean nuclear force? Or did he mean that he would retaliate in kind only if Pyongyang were to attack the United States, Japan or South Korea with nuclear weapons? If either the first or second scenario represents his threshold, then Mullen’s dire assessment can’t be discounted as hyperbole. If it’s the third, the world can breathe a bit easier for now, since there’s no conceivable reason for Kim to attack a country with nuclear weapons, least of all the United States, except in response to the potential destruction of his state. In his latest gyration, having failed to scare Kim into denuclearization, Trump has welcomed talks between Seoul and Pyongyang that he had only recently discounted and, predictably, taken credit for a turn of events that has sidelined him. He even suggested that the United States could eventually join the negotiations, meant in part to prevent a conflict during the February 2018 Winter Olympics in Seoul, and reacted positively to the possibility that they might continue even after the games end. On the opposing side of the how-likely-is-war debate are the optimists, a different coterie of journalists, ex-officials, and policy wonks. Their basic point boils down to this. Yes, Trump has made fire-and-brimstone statements about North Korea, but chalk up the endless bombast to his problem with impulse control and his desire to feed red meat to his base, while scaring Kim. Unfortunately, you can’t put much stock in this take either — not once you consider the accompanying caveats. Gideon Rachman, an Asia specialist and Financial Times columnist, is typical of this crew in concluding that war on the Korean peninsula is unlikely — only to liken the current atmosphere in Washington to the one that prevailed just before the 2003 Bush administration invasion of Iraq. For good measure, he adds that Lindsey Graham — super-hawk, Trump confidant and member of the Senate Armed Services Committee — believes that war is “inevitable.” Rachman’s fallback suggestion is that Australia, Japan and South Korea won’t support a preventive strike on North Korea. Now ask yourself this. How often does Trump take others’ advice? When is the last time you heard him say “multilateralism”? Jeffrey Lewis, a well-regarded expert on nuclear weapons, discounts the likelihood of war for a different reason. He thinks Trump’s bombast is so much bluster, designed to jangle Kim’s nerves and drive the North Korean leader to relinquish his nuclear cache lest an out-of-control American president vaporize his regime. Given what we now know about the present occupant of the Oval Office, that might be a modestly convincing thought if Lewis didn’t introduce his own qualifiers. He believes Trump’s faith that China, in hopes of getting economic rewards from the United States, will eventually persuade or coerce Kim to denuclearize is misplaced because Beijing lacks the necessary clout in Pyongyang. Indeed, Kim doesn’t trust China and has killed or sidelined those whom he suspects of being pro-Chinese. Lewis also lays out a range of possibilities, each of which could trigger a spiral toward war. These include North Korea shooting down an American reconnaissance aircraft or sinking a South Korean naval vessel, both of which, he reminds us, Pyongyang has done in the past in 1969 and 2010, when it still lacked nuclear weapons. So Lewis’s American-style optimism doesn’t offer any more grounds for cheer than Rachman’s British variant. Where does this lack of consensus on the likelihood of war leave us? The answer — no one can really assess the gravity of the danger, particularly because the man who occupies the White House is arguably the most volatile president we’ve ever had. We know that North Korea has long been committed to building nuclear weapons and produced small quantities of weapons-grade plutonium as early as 1992. We know that North Korea withdrew from the Nuclear Non-Proliferation Treaty in 2003. That it detonated its first nuclear weapon in 2006 during the rule of Kim Jong Il, the father of North Korea’s current leader. And that it has conducted five other tests since then in 2009, 2013, 2016 and 2017 — four of them after Kim Jong Un took power in December 2011. 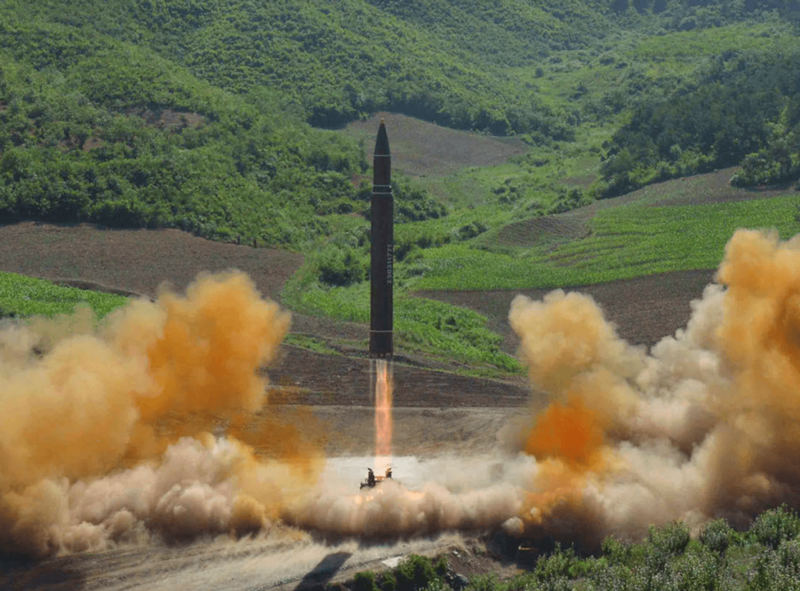 We know that North Korea has been no less dogged in building and testing ballistic missiles, beginning in 1984, and that the Hwasong-15, test-fired in November 2017, with an apogee of 2,800 miles and an estimated range of 8,100 miles, has the capacity to strike the continental United States. And Pyongyang has gone beyond liquid-fuel missiles that require prolonged, telltale preparations to launch, testing solid-fueled variants that can be fired at short notice. We know that Pyongyang is close to producing, or has already produced, a warhead that can be placed atop an intercontinental ballistic missile and survive the heat and stress encountered on reentering the earth’s atmosphere. In other words, North Korea is without question effectively a nuclear weapons state, which means Kim’s claim, in his 2018 New Year’s Day speech, that he has a nuclear button on his desk may not be an idle boast. No one outside of Pyongyang could celebrate a nuclear-armed North Korea, but no one could reasonably be surprised by it, either. Nuclear weapons have long served as a symbol of exclusivity for great powers and their regional cohorts. It’s no accident that all the Security Council’s permanent members are nuclear states. Having accorded such weaponry supreme prestige, who could be shocked that other countries, even relatively small and poor ones, would try to acquire them as well and refuse to be cowed by political or economic pressure. Despite various campaigns for nuclear disarmament, the current nuclear states have not shown the slightest inclination to give them up. So the promise of a nuclear-free world rings hollow and is unlikely to persuade states that really want nukes not to build them. Beyond conferring status, these weapons make attacking a country that has them dangerous indeed, providing a de facto guarantee against regime change. The North Koreans have made this point more than once, citing the fates of Iraq’s Saddam Hussein and Libya’s Muammar Gaddafi, each of whom gave up his country’s nuclear program and then was taken down by the United States. The idea that the leaders in Pyongyang are simply paranoid maniacs or can’t possibly believe that they face such a threat from the United States is preposterous. If you were Kim, you’d probably build nuclear weapons. The upshot. Short of a war, there’s no chance of denuclearization. That, in turn, means were Trump and his generals to launch an attack on North Korea’s nuclear arsenal and even a single warhead capable of striking the United States survived, Pyongyang might well use it to retaliate. According to the experts who engage in such grisly estimates, a 15-kiloton nuclear weapon that lands somewhere in, say, Los Angeles would kill more than 100,000 people immediately and yet more thereafter. To put this in perspective, bear in mind that the estimates of the yield of the warhead North Korea tested last September run as high as 250 kilotons. And don’t forget that, even if it couldn’t effectively reach the United States, the North could still target either South Korea or Japan, causing a devastating loss of lives and sending shockwaves through the global economy. And even if Kim couldn’t retaliate with nuclear weapons, he could still order the thousands of artillery pieces his military has trained on the South Korean capital, Seoul, to fire. The metropolis and its satellite towns are home to nearly 25.5 million people, half of the country’s total population, so the death toll would be enormous, even taking into account the limitations of the North’s artillery. And given that some 28,500 American troops and nearly 137,000 American civilians are based in South Korea, many close to the border, Trump’s reported remark to Graham that, in the event of such a war, people will “die over there” is not just callous in its disregard for Korean lives, it’s ignorant. Even an American commando raid into North Korea could trigger a wider war because the North Korean leadership might reasonably regard it as a prelude to a larger attack. Here’s a prerequisite for avoiding war in Korea: stop believing in the North’s denuclearization, attractive and desirable as it might be. It doesn’t follow, however, that war can’t be avoided. Kim and his inner circle are not, in fact, irrational beings immune to deterrence. Their paramount aim is to ensure the survival of the North Korean state. Starting a nuclear war would destroy it. Yes, many people have perished in North Korea, whether due to repression or famine, but deterrence worked in the cases of Soviet dictator Joseph Stalin and China’s Mao Zedong, both of whom enacted policies that killed millions. Mao supposedly even boasted that China could survive a nuclear war because of its huge population. And that, unquestionably, is the urgent task. There are other ways, down the line, to make the Korean peninsula a better place through dialogue between the two Koreas, by drawing the North into the regional economy and reducing troops and weaponry on both sides of the Demilitarized Zone. These shouldn’t be ruled out as infeasible. For them to happen, though, South Korea would have to separate itself from Trump’s war plans by refusing to allow its sovereign space to be used for such a preventive war. The symbolism would be important even if Trump could strike in other ways. Seoul would also have to build on two recent positive developments that emerged from a surprise Jan. 9, 2018 meeting between the Koreas. The first is the agreement on Kim’s proposal to send a North Korean contingent to the February Winter Olympics in Pyeongchang, South Korea. The second flowed from South Korean president Moon Jae In’s follow-up idea of restoring the hotline between the countries and beginning discussions of how to tamp down tensions on the peninsula. Pyongyang shut down the hotline in February 2016 after South Korea’s conservative government closed the Kaesong joint industrial zone located in the North, which then employed more than 50,000 North Koreans. Moon’s suggestion doubtless eased the way for the subsequent agreement to hold future military talks aimed at reducing the risks of war. There are further steps Seoul could take, including declaring a moratorium on military exercises with the United States — not just, as now, during the February Olympics and the Paralympics that follow and end in March, but without a preset time limit. 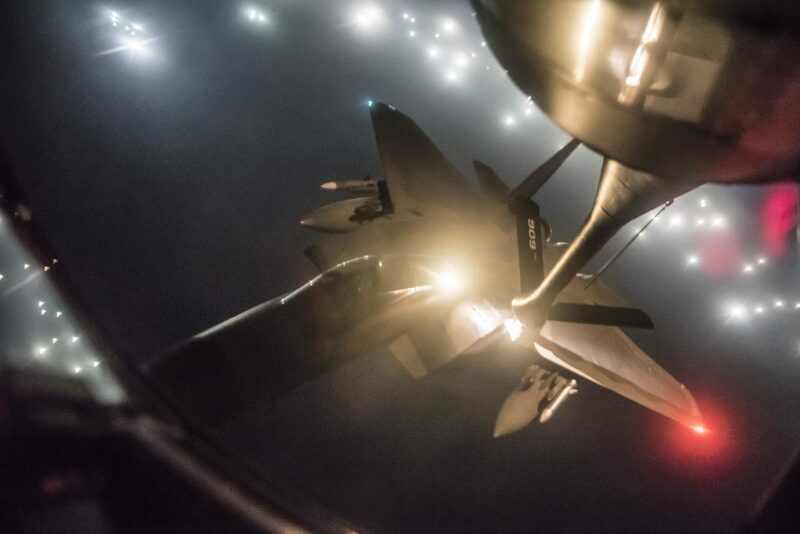 While such joint maneuvers don’t scare Pyongyang, moves like flying American B-1B bombers and F-15C fighter jets in international airspace off North Korea’s coast do ratchet up the tension. They increase the chances of one side concluding that the other is about to attack. Trump may continue his threats via Twitter and again denigrate the value of negotiations with Pyongyang, but South Korea is a powerful country in its own right. It has a $1.4 trillion economy, the 11th largest in the world, and ranks sixth in global exports. It also has a formidable military and will spend $34 billion on defense in 2017 — more than North Korea’s entire gross domestic product. It is, in short, anything but the Asian equivalent of a banana republic for which Trump should be able to write the script. Predictably, mainstream warnings have already begun. Cunning Kim wants to drive a “wedge” between the United States and South Korea. He’s trying to undo the sanctions. Agreeing to talks with Pyongyang will only communicate weakness. The United States must demonstrate its resolve and protect its credibility. And so it goes.